I've realized that this is a wish list as much as it is a product launch reveal. I'll be honest, I'm hoping to see these on my doorstep soon. Let's begin with RMS Beauty, the brand that makes my coveted Luminizer and "Un" Cover-Up. RMS Beauty is constantly upping the ante, previously with their "Un" Powder, followed by their Buriti Bronzer. Now they are powering ahead in response to Paris fashion week. Berry stained pouts covered the streets and runways alike. Those deep hued lips are everywhere this fall. Think the of the richness of pomegranate seeds and cranberry. They call it Diabolique Lip2Cheek. Do I need to wax poetic about the coconut and argan oils it contains? No. It's already clear RMS knows how to pamper skin. Miranda Kerr debuted the color at the Met Gala and demonstrated its glamour. I want to pair the color with burgundy cashmere and rich brown boots on a crisp autumn day. Have you heard of the new mascara on the block? 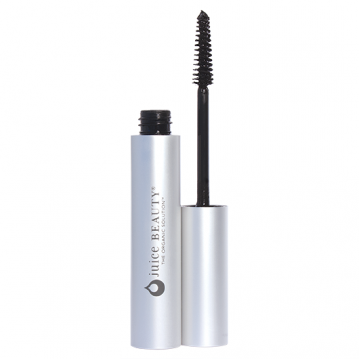 Juice beauty just released a new mascara that green beauty bloggers say champions lengthening. There are rumors of no smudging or flaking that have me curious. I am itching to test its limits! Only complaints here are some ethylhexylglycerin as a preservative that I'd like to see replaced with radish root ferment. Juice beauty also banged out a CC cream. What's a CC cream, you say? The new generation of BB creams, that's what. 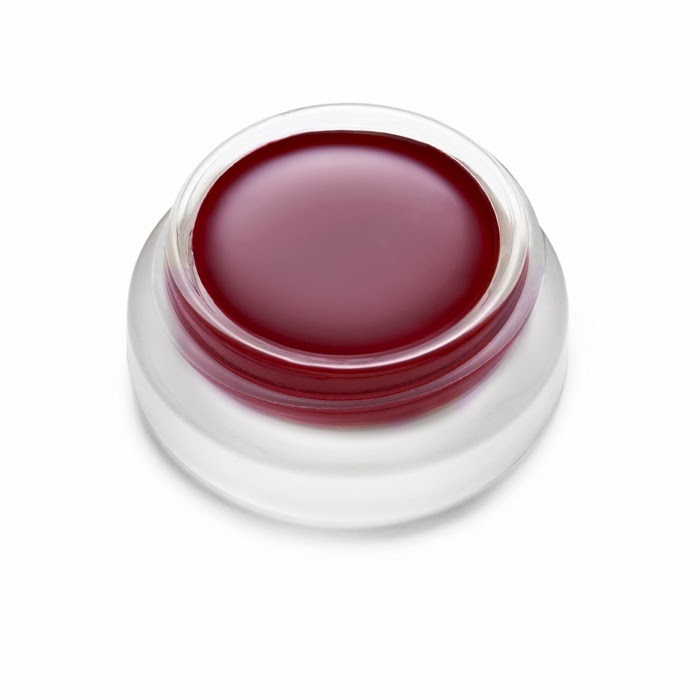 It aims to provide color correction, SPF, and treatments for skin troubles like acne and hyperpigmentation. While others have been doing this long before the CC moniker (thanks MVO) I can still appreciate the effort. I've already admitted undying love to tinted sunscreens (protection with zero white cast and a radiant glow? What's not to love?) so I'm game to see what others have up their sleeves. It's pretty clean, but if I had my way the ethylhexylglycerin would leave the party. I've actually tried this newbie. And from one application I can say my skin definitely didn't complain! But before I say more, I'll have to take it out for another spin. Do you suffer from breakouts? If so, some yummy goo from May Lindstrom may be worth trying. 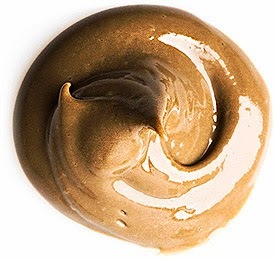 The Honey Mud is a cleanser made of honey, clay and warming spices. I especially admire the inclusion of frankincense and myrrh, two powerful, but rare, agents against acne. The Honey Mud is so new, it's not even available yet! But you can go ahead and pre-order. Have you tried any of these new teases?! Like them? Do tell! *Cocos Nucifera (Coconut) Oil, *Ricinus Communis (Castor) Seed Oil, *Cera Alba (Beeswax), *Butyrospermum Parkii (Shea Butter) Fruit, *Simmondsia Chinensis (Jojoba) Seed Oil, *Theobroma Cacao (Cocoa) Seed Butter, *Argania Spinosa (Argan) Oil, Tocopherol (non-GMO), Helianthus Annus (Sunflower) seed Oil, Propolis Extract, Centella Asiatica Extract, *Rosmarinus Officinalis (Rosemary) Extract, and may contain: [+/-Titanium Dioxide CI 77891, Mica CI 77019, Iron Oxide CI 77491, CI 77492] . *Certified organic. Botanical extracts of serenoa repens (organic saw palmetto extract)*, aloe barbadensis (organic aloe extract)*, euphorbia cerifera (candelilla wax), triisostearyl citrate, hydrogenated glyceryl abietate, brassica campestris/aleurites fordi oil copolymer, copernicia cerifera (organic carnauba wax)*, vegetable glycerin, theobroma cacao (organic cocoa seed butter)*, persea gratissima (avocado butter), methylcellulose, xanthan gum, tocopherol (Vitamin E), sodium hyaluronate (vegetable hyaluronic acid), ethylhexylglycerin, phenethyl alcohol. May Contain: mica, iron oxide. *Certified organic. Active Ingredient: Zinc Oxide 20%. 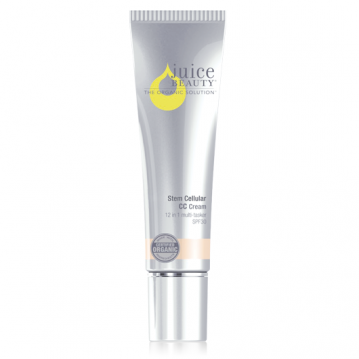 Inactive Ingredients: Juice Beauty proprietary blend of fruit stem cells: apple buds, grape buds & lemon bark. Organic juices of pyrus malus (organic apple juice)*, vitis vinifera (organic white grape juice)*, aloe barbadensis (organic aloe leaf juice)*, cocos nucifera (organic coconut oil)*, caprylic/capric triglyceride, sorbitan stearate, ricinus communis (castor seed oil), polyglyceryl-10 laurate, magnesium sulfate, helianthus annuus (organic sunflower seed oil)*, simmondsia chinensis (organic jojoba seed oil)*, tocopherol (Vitamin E), magnesium ascorbyl phosphate (Vitamin C), sodium hyaluronate (vegetable hyaluronic acid), malus sylvestris (apple buds), vitis vinifera (grape buds) & citrus limonum (lemon bark), iron oxides, phenethyl alcohol, ethylhexylglycerin, citrus reticulata (mandarin) & citrus aurantium (petitgrain) pure essential oils. *Certified organic. Raw Honey, White Halloysite Clay, Macadamia Integrifolia (Macadamia Nut Oil)*, Hamamelis Virginiana (Witch Hazel)*, Argentum Metallicum (Colloidal Silver), Theobroma Cacao (Cocoa Absolute) Oil, Citrus Sinensis (Sweet Orange) Oil*, Cananga Odorata (Ylang-Ylang) Oil*, Vanilla Planifolia (Vanilla) CO2 Total Essential Oil*, Juniperus Virginiana (Cedarwood) Oil*, Boswellia Carteri (Frankincense) Oil, Commiphora Myrrha (Myrrh) Oil. *Certified organic. I sought out these products and was not compensated monetarily or otherwise for this post.